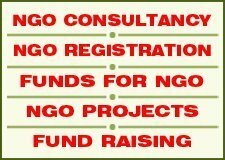 How to register a Non Governmental Organisation/ Non Profit Organisation (NGO/NPO) can be defined and followed according to the accepted type of the registration under the specific types and processes. The Registration of a Non Governmental Organisation depends upon the kind of NGO registration which would be applicable, then the registration process can be defined as per the registration types, for example, it can be registered as Trust, Society, Non Profit Company or any other type of NGO under the Trust Act, Society Act, Company Act or any other Act or law. The processes for the registration of Non Profit Organisations differ according to the different types of NGO: Trust, Society or Non-Profit Company. For the registration of Voluntary Organisation, there are some conditions and requirements which are the same. 1. More than one Members are required to register any Social Organisation. Members can be Two or more than that according to the Registration type valid under any Act. 2. Identification Proof (ID Proof) of every member is required in any process to show and verify that the persons exist with the given identity as shown in the ID proof. ID proof can be any of the Government recognised and registered ID Cards (with their address) such as – Aadhar Card, Voter ID Card, Driving License, Passport or any other Government ID card with the address is applicable as ID along with address proof of the members. PAN card cannot be accepted as ID proof for Registration as the address is not mentioned on it. 2. Photographs of passport size are required. The Photographs can be two or three according to the registration type. 3. Address proof of the Office where the NGO is to be registered. The Address must be valid and according to the concerned registrar and according to the different areas of the jurisdiction of registration. There are certain rules applicable in the Registration office but sometimes it depends upon the certain Babus and Registrars who apply their own rules out of the legal parameters. The Jurisdiction is decided according to the Office address and the registration can be carried out in the concerned area of the concerned registrar. It can be registered as a Society, Company or Trust or any other; but the area must be according to the defined parameters and rules. 4. Memorandum or Constitution (Samvidhan/संविधान) or Article of Association or Trust Deed is required for the registration of the NGO. The type of the Memorandum can be defined differently based on the registration Act type as Article of Association, Memorandum or Trust Deed, but, the members have to submit it at the time of registration. Without the Memorandum or Constitution or Trust Deed or Article of the Association, the registration is not possible as it is the ground, base and the documental proof which proves the existence of the Non Governmental Organisation. To identify any organisation as a registered Non Profit Organisation or as a Non Governmental Organisation, the Memorandum acts as the legal proof showing the existence of the organisation as registered. After registration of NGO, the registration certificate is issued along with the Memorandum/ Article of Association/ Constitution/ Trust Deed. The registration Certificates are of different types. For a Trust, the Registration Certificate is printed on the back page of the Trust Deed and for society and Company, different Registration Certificates are issued by the Registrars. All kind of the Registration Certificates issued from the concerned registrars are accepted at the various places, Government Departments, Ministries, Income Tax Department, Funding Agencies, banks, Governmental authorities, any other places in India and outside India. 5. The rules, regulations, acts, laws, clauses of the related rules, acts and laws of the registration type of process must be included in all kinds of Memorandums / Articles of Association / Constitutions / Trust Deeds. The included rules and bylaws are one part of the Memorandum which define, express, explain, show, clear, guide, mention, verify the working of the members, decisions of the members, the manner of working of the members and the body of the members, executive committees of the members, area of working, applied rules on the organisation and its members as authorities, recognition to open the bank accounts by the organisation, to register the organisation under Income Tax rebate and other Governmental Departments for different types of registrations, availability of members for existing and new members, tenure of the members/ executives/ bodies and tenure of the registration period of Organisation and many other bylaws, rules, regulations and clauses. According to the bylaws, clauses and sub-clauses, the concerned authorities can recognise and authorise the organisation as a registered and entitled Non Profit organisation (NGO). The Area of operation can be defined and mentioned in the clauses and bylaws of the Memorandum of the NGO. The areas of operation can be different and can depend upon the type of registration and the place of registration and certain kinds of processes; Involvement of members of different areas depends upon the registration type as a Society, a Trust or a Non Profit Company. 6. The Aims and Objectives are another part of the Memorandum / Article of Association / Constitution / Trust Deed. The objectives included in the Memorandum decide the aims and purpose of the Organisation on what and which areas, sectors, issues and topics the organisation has to work. It may work on any of them, on one of them or on all of them. The areas of operation can be mentioned and included in the clauses along with the Aims and Objectives of the Memorandum. The Aims and Objective can be included and excluded after the registration but the different processes depend upon the different types of registration Acts and laws. 7. Signature of the Founder is required. Signatures and photographs are also required of Other members in certain registrars of different areas, localities, jurisdiction and states in different kinds of registration processes. In the Trust Act, the Organisation registered as Charitable Trust is a form of NGO which has different rules of physical presence, consent and/or present the photo IDs on the members. In some states and some jurisdictions, at the time of registration, the presence of all members is required, in some states, the presence is not required at all for both Trust and Society registration. In society registration, the presence of all members is not required at the time of registration, but their presence may be required in some states and in some jurisdiction areas. In Delhi – in case of the Trust registrations, at the time of submission of documents for registration, some registrars ask for some different requirements of the photos and signatures of all members, some require photos , and signatures of all members whether they are present or not, some registrars ask photos of members and signature of only of the settler, some registrars ask signature and photo of only of the Settler in case other members are not present, and some registrars asks the photo and signature of Settler even when all other members are present at the time of submission of registration documents. In Delhi, if all the members do not want to present themselves then, only the original photo IDs are required along with signatures on the photocopy of the photo IDs of members. If some members out of all members are present, then some registrars allow their presence alongside the Settler. There are no rules and laws in this regard, so they do Babugiri according to their will and own decisions and somehow on the tradition of acceptance of previous Trust Deeds. 8. Certain amount of Required fee is to be submitted for the registration. The fee deposit process depends upon the different registrars in the different types of registration method and as applicable in different states and different jurisdictions. 9. The age factor is not decided in almost all acts of registration especially for the registration under Trust Act. But sometimes some registrars accept the membership of the age as 21 years for males and 18 years for females. But the maturity age is required at all places without exception in most of the registrar offices. 10. There is no requirement of educational qualification in any of the registration type. 11. The Name of the NGO is required to mention in the Memorandum of NGO. The names restricted under the emblem act are not allowed for registration. Sometimes, the registrars and the concerned authorities cannot accept names similar to Government names. The Babus and the registrar can refuse to register NGOs with names that do not suit their desires, even in case the names are not mentioned as restricted names by the law. In such cases, they can be challenged to the higher authorities, legal authorities or in court for such restrictions which imposed outside the law. Different kinds of registration processes are applicable under different types of Acts. So reading and knowing the following process for Registering an NGO can help clarify some points. To register an NGO under the Trust Act, the NGO must be registered for Charitable Purposes. The Trust registered for Charitable purposes shall be registered as a Non Governmental Organisation, as an NGO. Sometimes copy-pasted material in the memorandum can create problems, so the registration must be submitted through experienced Consultants. 2. Aims and Objectives are required. If there are any specific aim and objectives or if the founders want to focus on some specific issue, then those must be included primarily and highlighted as the main objectives and other general social welfare and social development related projects must also be included. If some common objectives are not included, then there can be some issues if the general issues are not specifically included in the Memorandum that is the Trust Deed. 3. At least a minimum of two members are required. There is no limit on the maximum number of members/Trustees. The Trustees are known as members and members are called Trustee in the Trust Act. 4. There is no need to mention the names of the Executive Body members and their Designation in the Trust Deed. The Executive Body of the NGO/Trust is to be formed after completion of registration. In the case of new members being added after registration, the new members shall be members of the General Body and they can or cannot be members or any designation holders in Executive Body of the NGO. It depends upon the decisions of the majority of the members. 5. Photo Identification (ID) Proof with the address is required. It must be issued by any Governmental authority, such as Aadhaar Card, Voter ID, Passport, Driving License etc. 6. Two photographs of each member/trustee are required. 7. The Trust Deed as Memorandum must be prepared. 8. In the Trust Deed, Bye-Laws must be added according to the Trust Act and the related acts. 9. In the Trust Deed, Aims and Objectives must be included. The Objectives are the purpose for which the NGO is to be formed. 10. The presence of one person as a founder and Settlor or Author of the Trust must be present at the time of the submission of Documents for the registration in the concerned Registrar office. 11. Physical Presence of all members other than the Settlor is necessary in some states, but not necessary in Delhi and other a few other states. The signature, thumb impressions and photographs on the spot will be taken by the official and they will be printed and added to the Trust Deed. 12. The legal fees must be deposited for the registration. Fees depend upon the different kind of registrars and the movable or immovable property as mentioned in the Trust Deed/Memorandum. The fees are to be deposited in cash, Demand Draft or by online submission process. At the time of registration, the demand draft or online submission slip is to be submitted along with other documents for registration. 13. When the documents and Trust Deed is to be submitted, then the photographs and thumbprints are required on the Trust Deed. 14. Two witnesses with Photo ID proofs are required at the time of registration in the registrar office. The signatures, thumbprint and photographs of the witnesses too will be taken in registrar office and photographs will be taken by the official and will be printed on and added on the Trust Deed. 15. After the document submission for registration, an acknowledgement slip is provided to the members or their representative who can collect the Trust Deed Document that is Memorandum. 16. After a certain time, the Trust Deed can be collected from the registrar office where it is submitted. In most of the registrar offices, seven days is the maximum time if there are no other issues in the registration process. If you can, you have to register at your level. But it is important to prepare memorandum, objectives, bye-laws and other required legal processes for which you will have to contact legal Consultants. You can contact here: NGO Consultant for NGO Registration. It is not necessary to register an NGO if you want to do Social work only. You can do Social work without registering an NGO too. However, if you are expecting to get funds and money for the said social work, then you have to spend for legal consultation in order to register an NGO. If you have an entrepreneurial vision and professionally want to work, then you must proceed to get consultancy services. 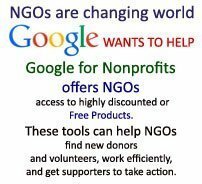 You can know more about Why to Register NGO. एनजीओ कैसे प्रारभ करें, एनजीओ कैसे बनाएं और एनजीओ कैसे रजिस्टर करें.